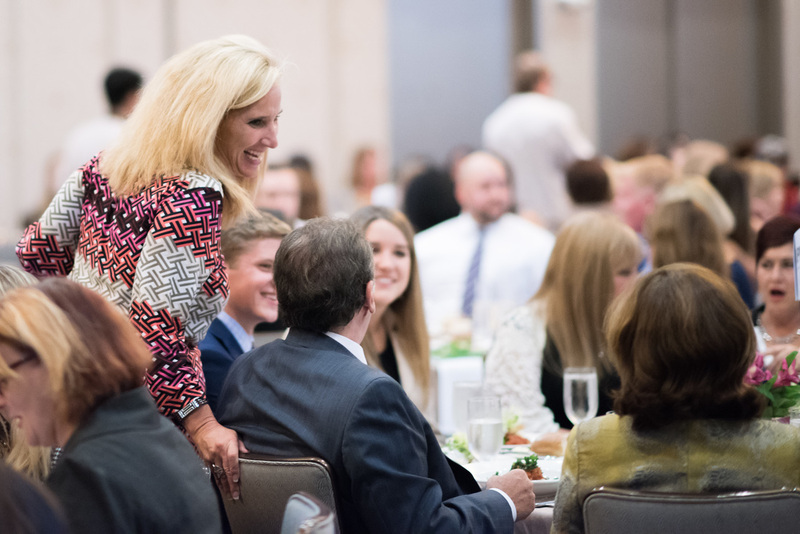 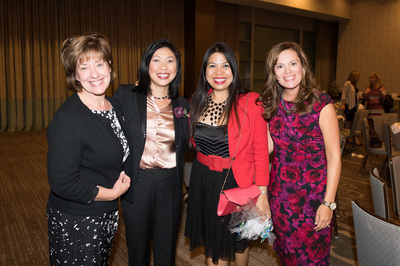 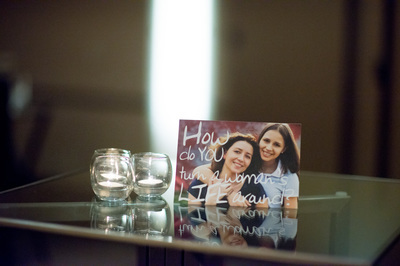 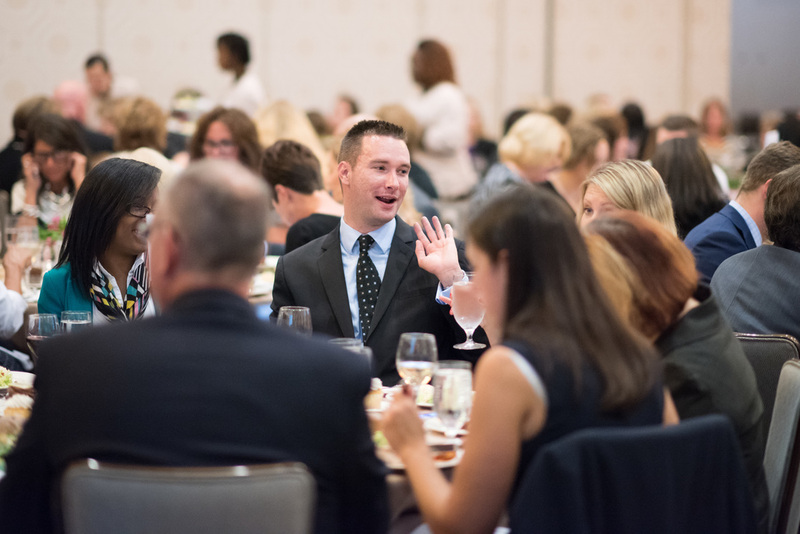 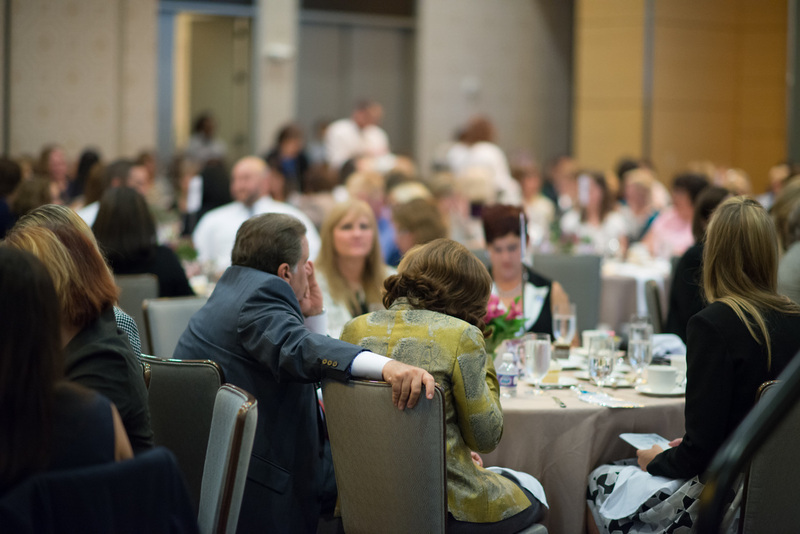 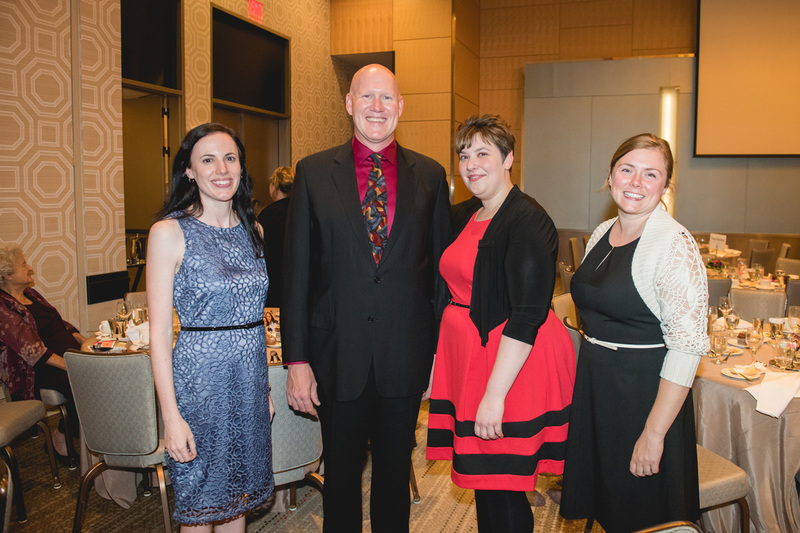 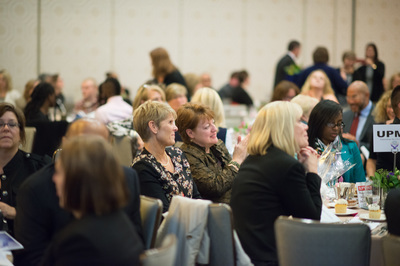 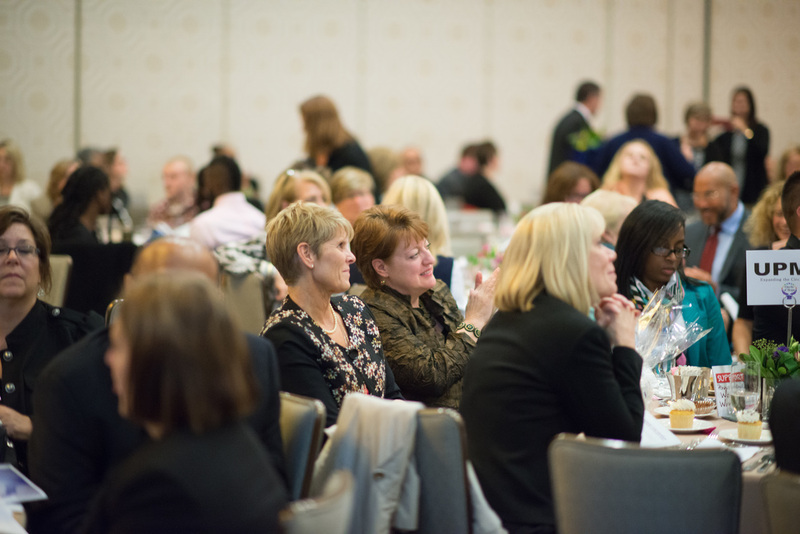 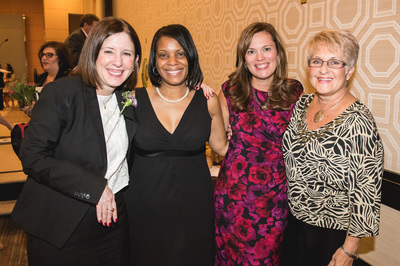 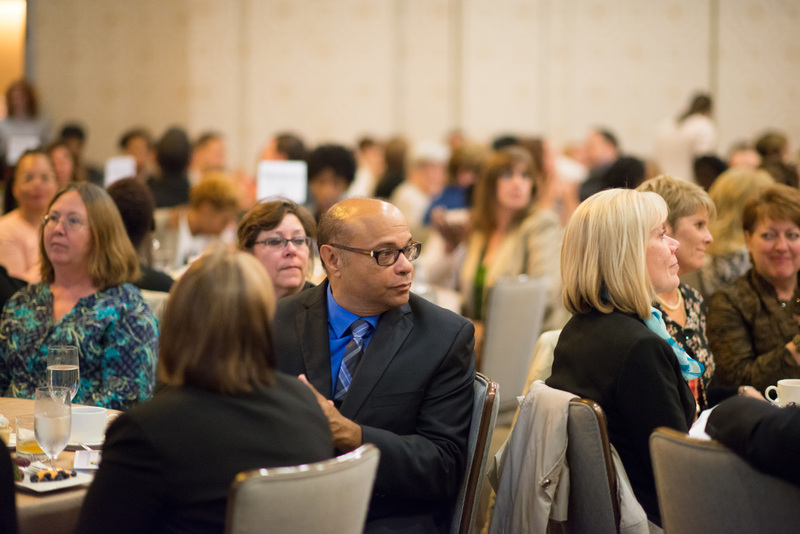 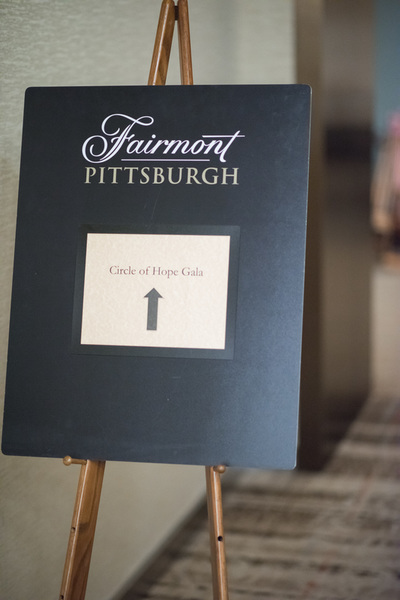 The 15th Annual Circle of Hope event was held on October 1, 2015, from 5:30 to 8:30 p.m. at the Fairmont Pittsburgh. 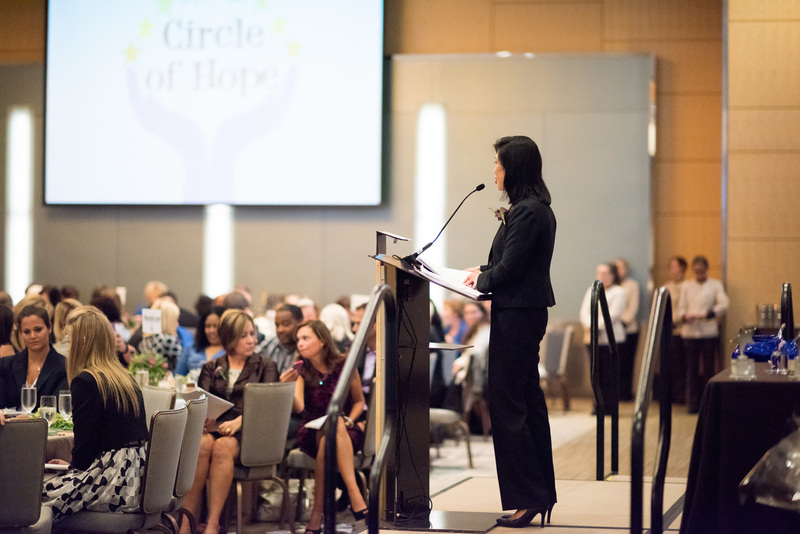 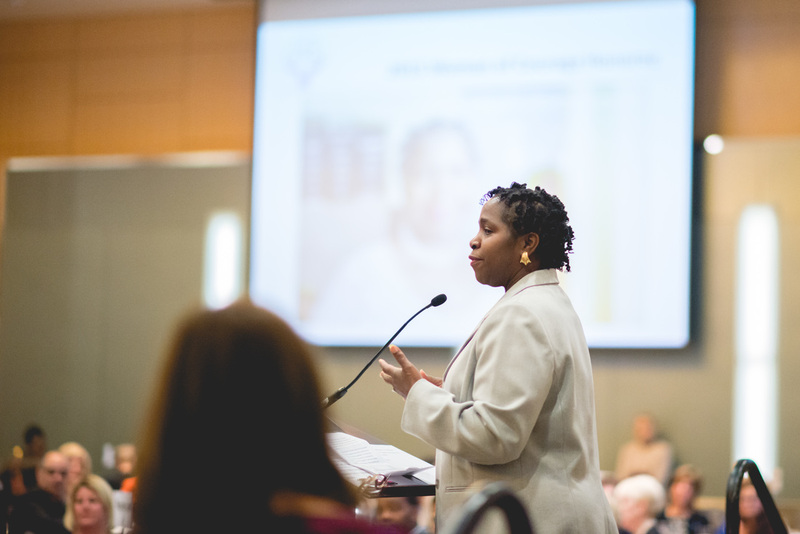 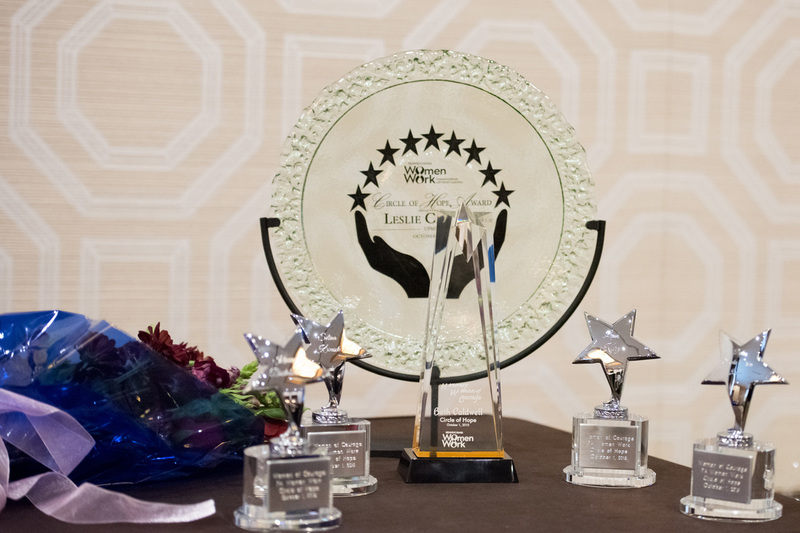 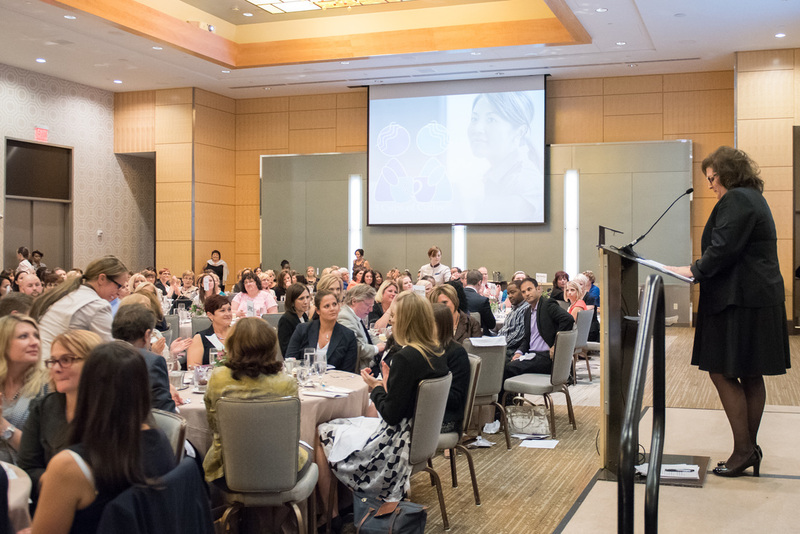 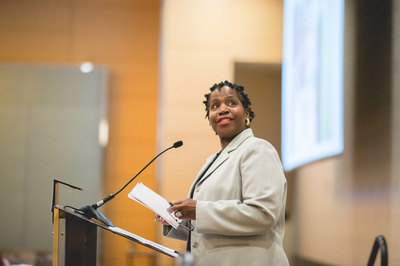 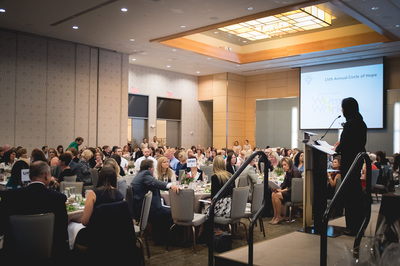 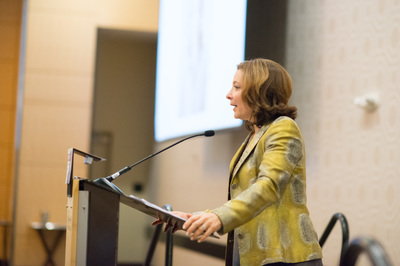 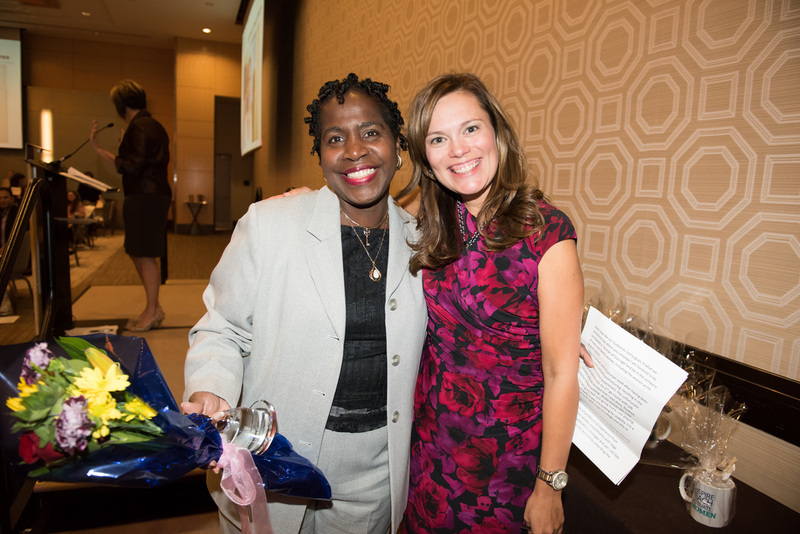 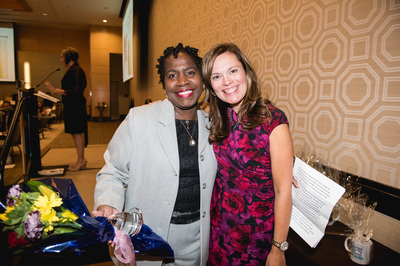 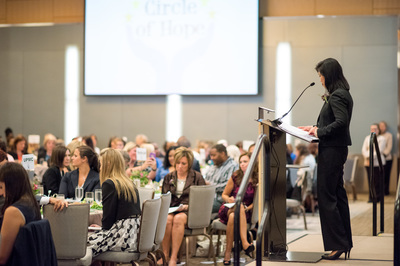 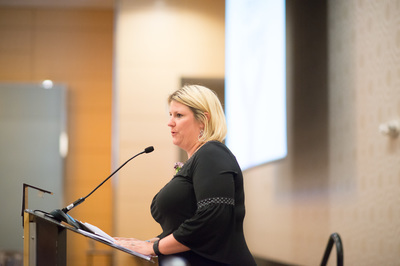 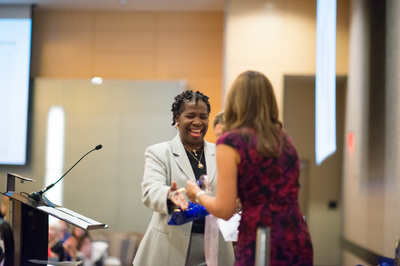 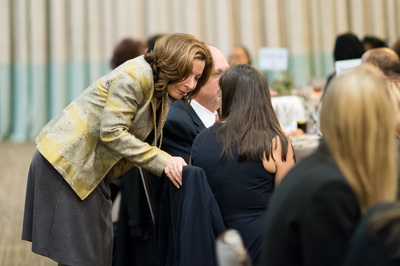 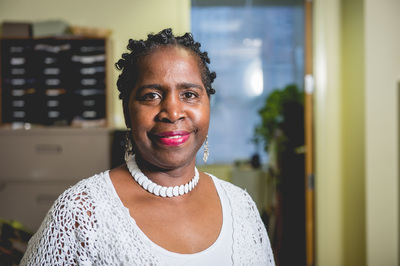 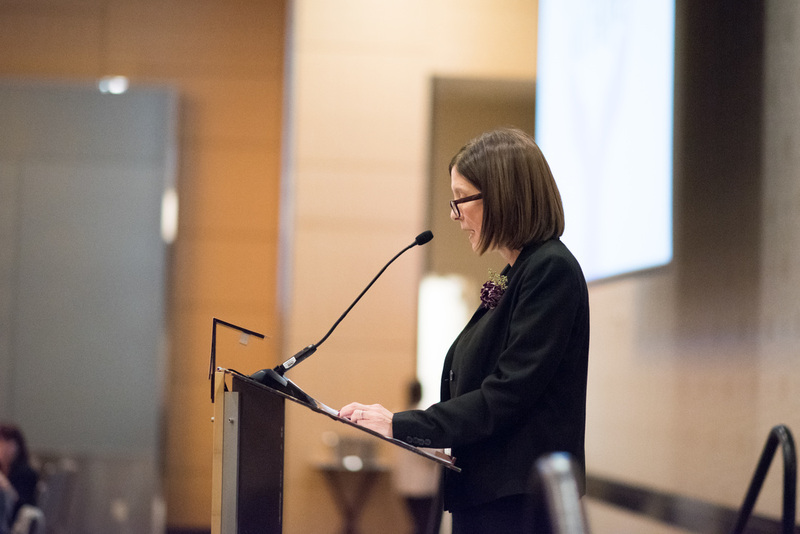 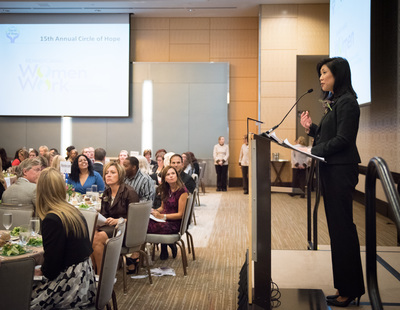 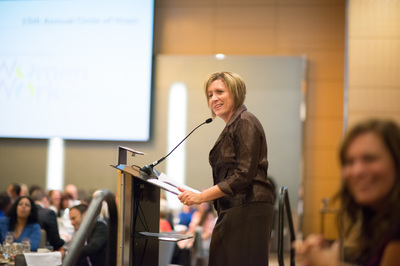 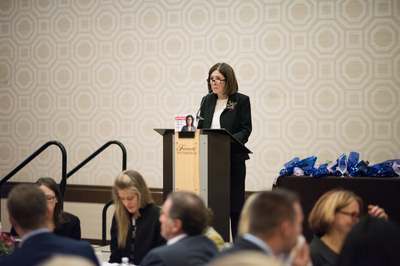 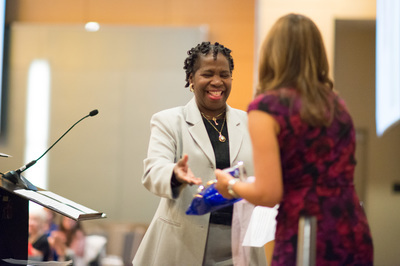 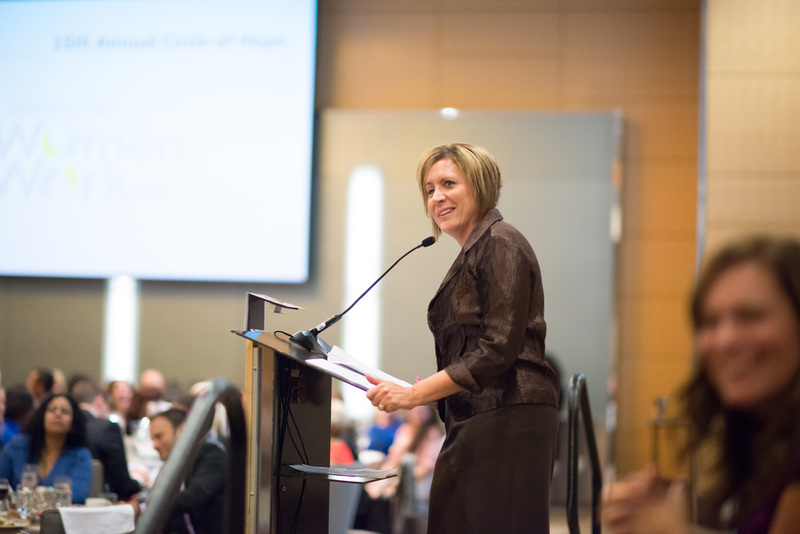 This year’s Circle of Hope Honoree was Leslie C. Davis, Senior Vice President, UPMC, Executive Vice President & Chief Operating Officer, Health Services Division, President, Magee-Womens Hospital of UPMC. 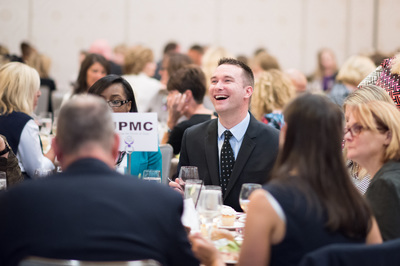 UPMC has been an ongoing supporter of our organization and we are extremely grateful for their involvement. 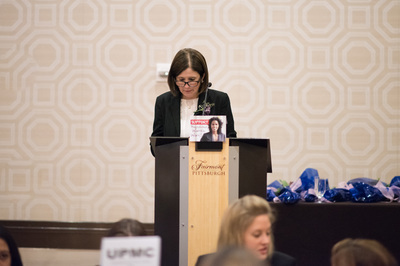 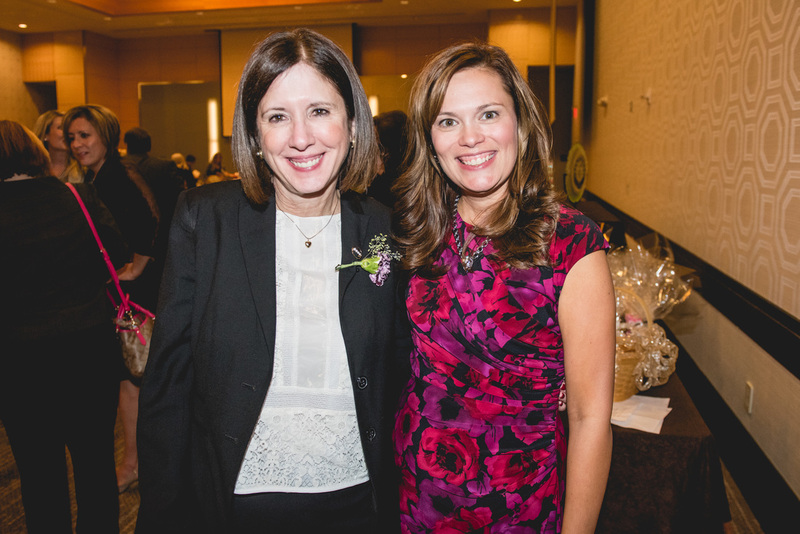 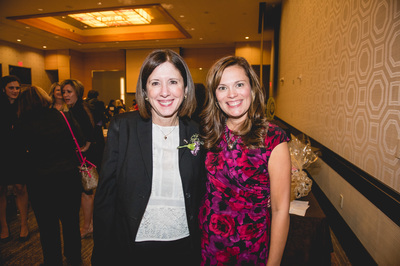 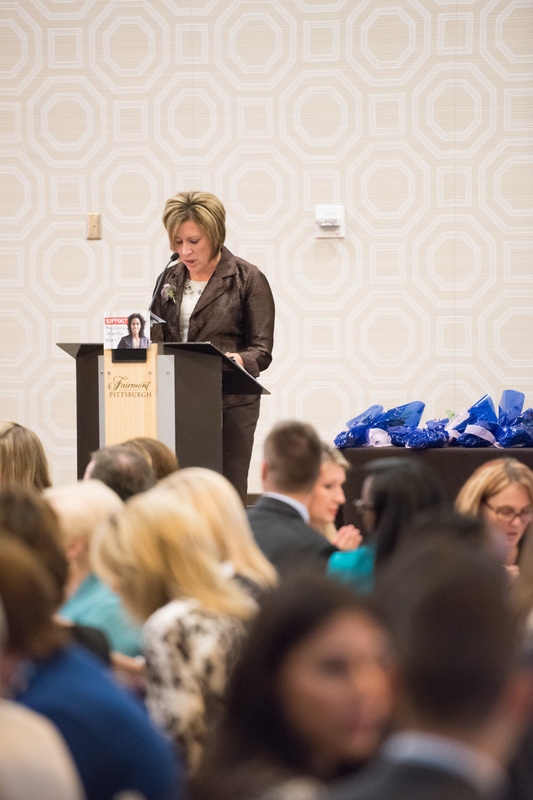 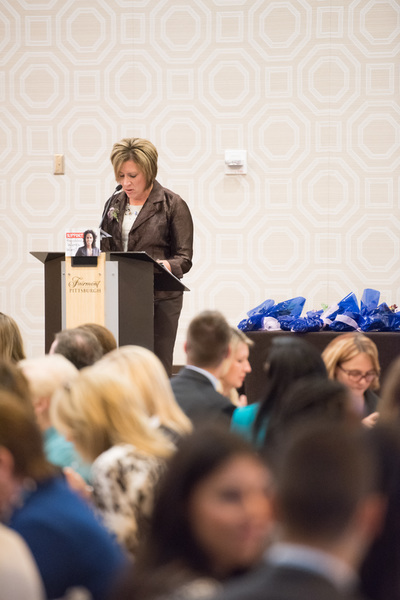 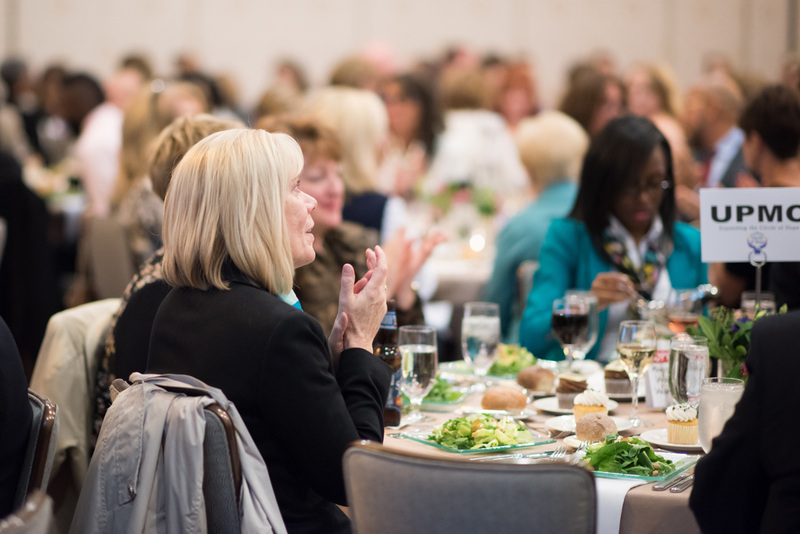 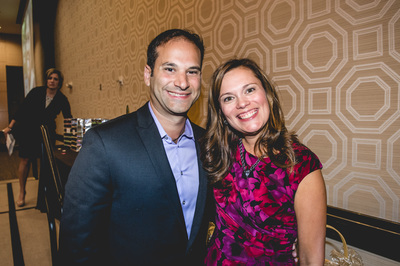 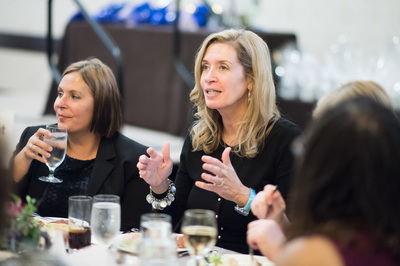 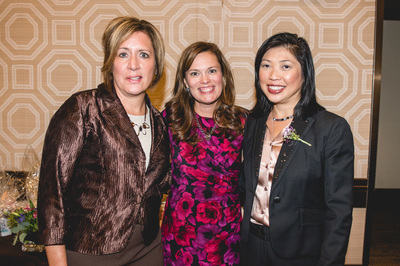 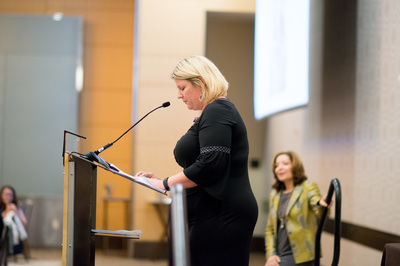 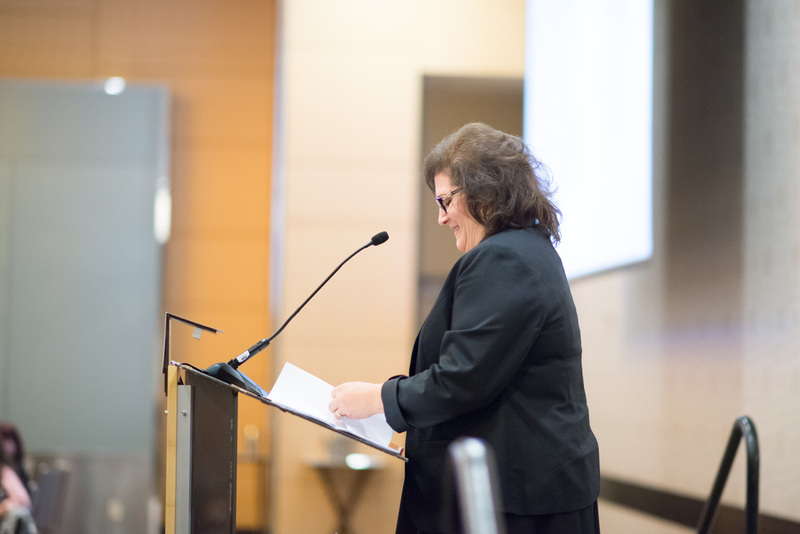 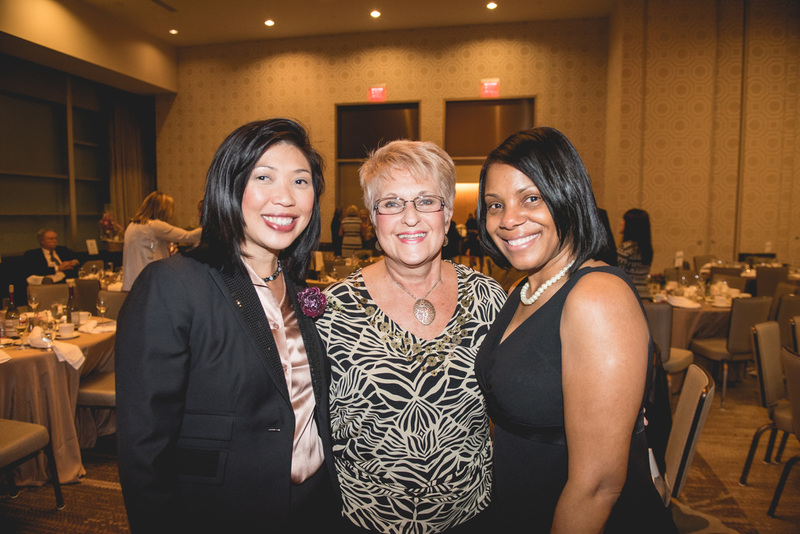 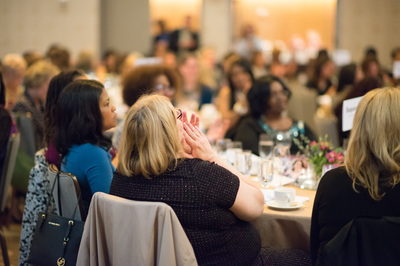 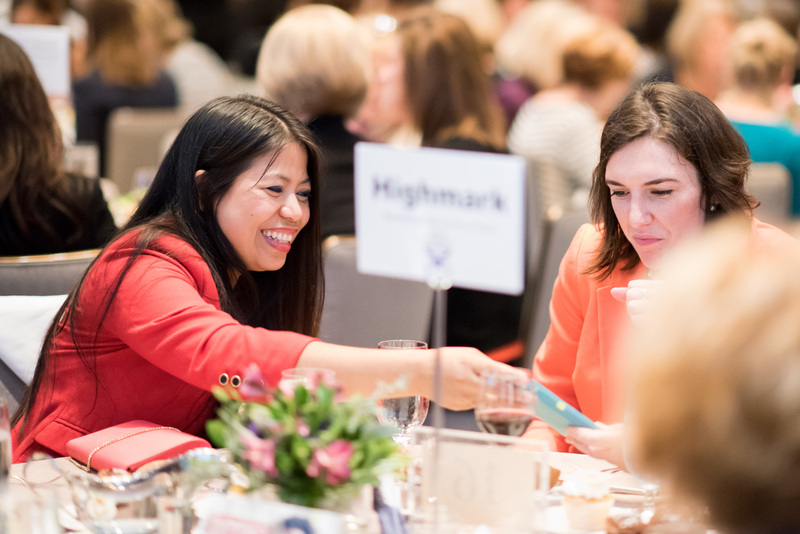 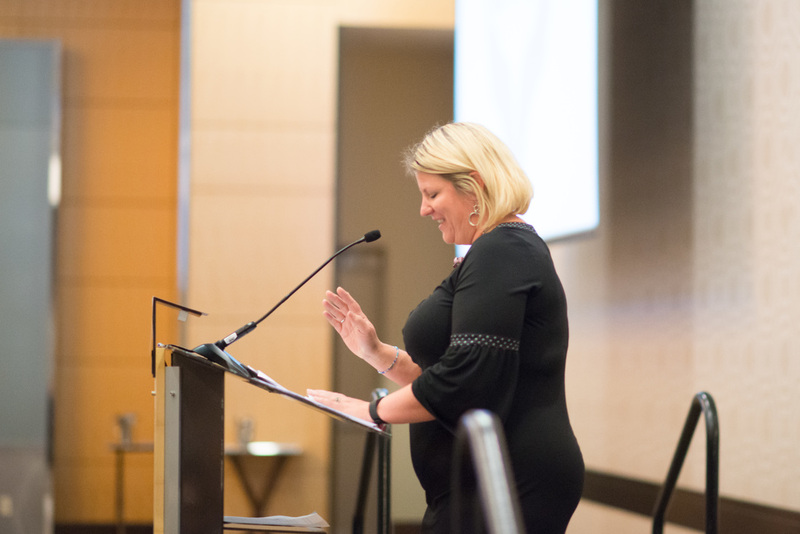 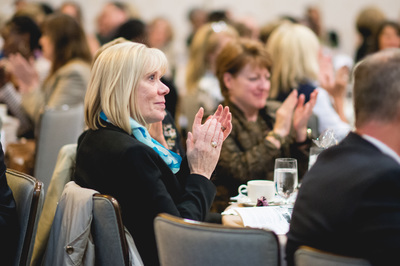 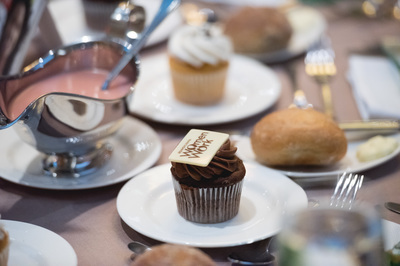 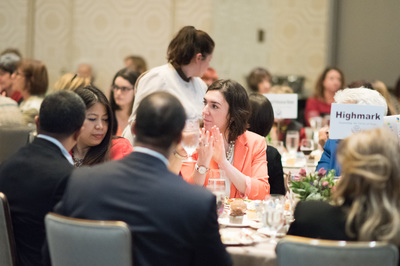 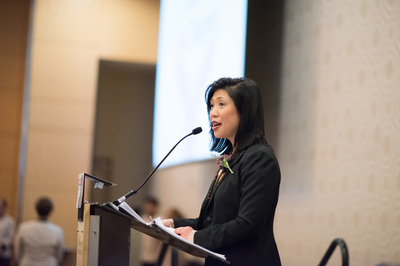 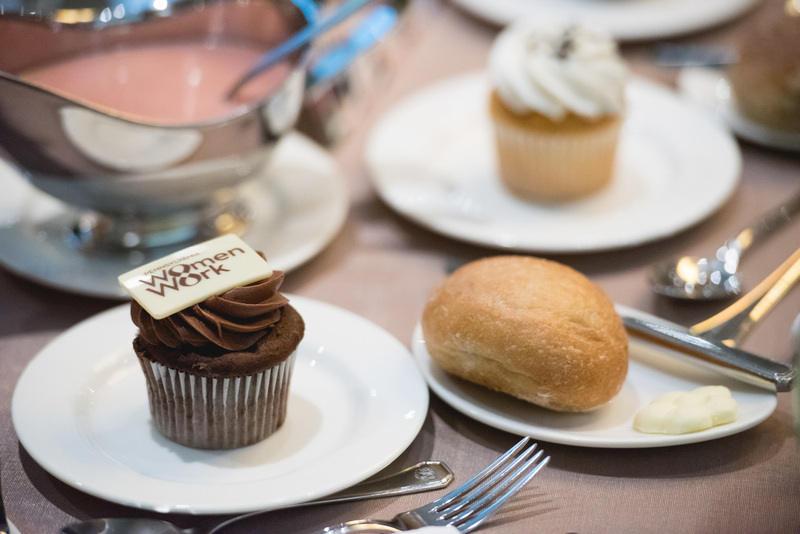 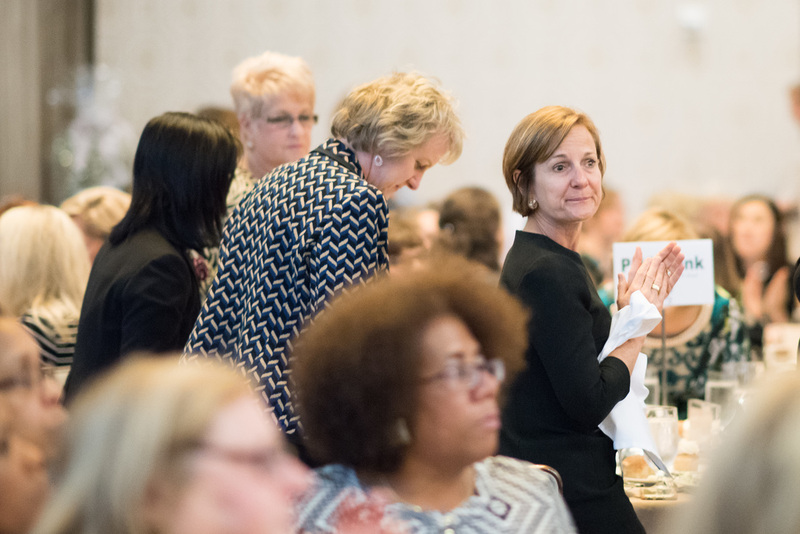 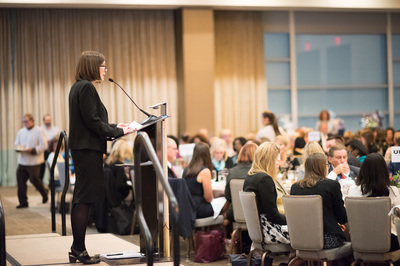 We are also thankful for our Honorary Co-Chairs: Deborah Lee of PNC Bank and Jamie Scarano of Wexford Health Sources (who also stepped in as our hostess for the evening, when celebrity host Jennifer Antkowiak of KDKA-TV was unable to join us because of a bout of laryngitis). 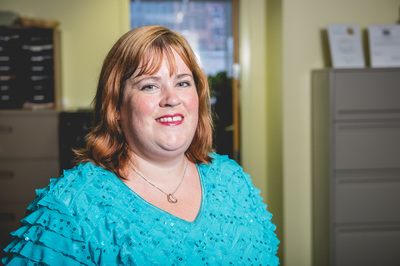 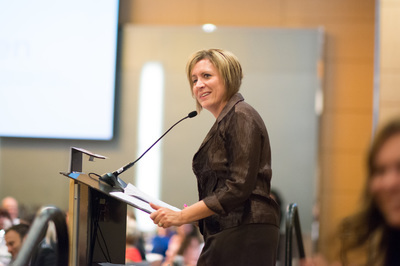 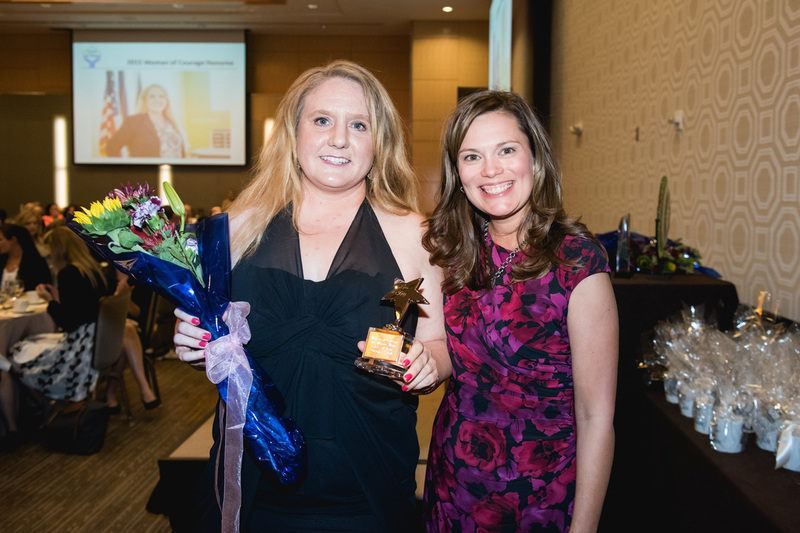 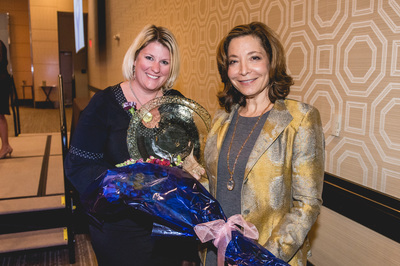 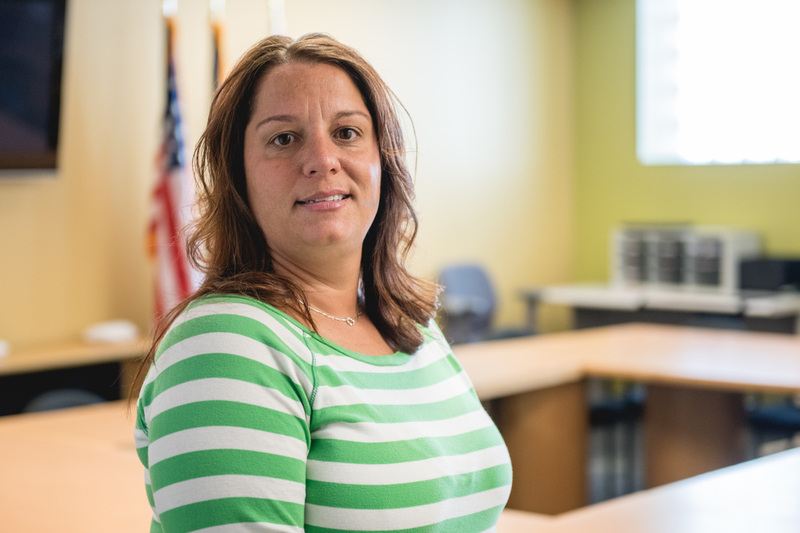 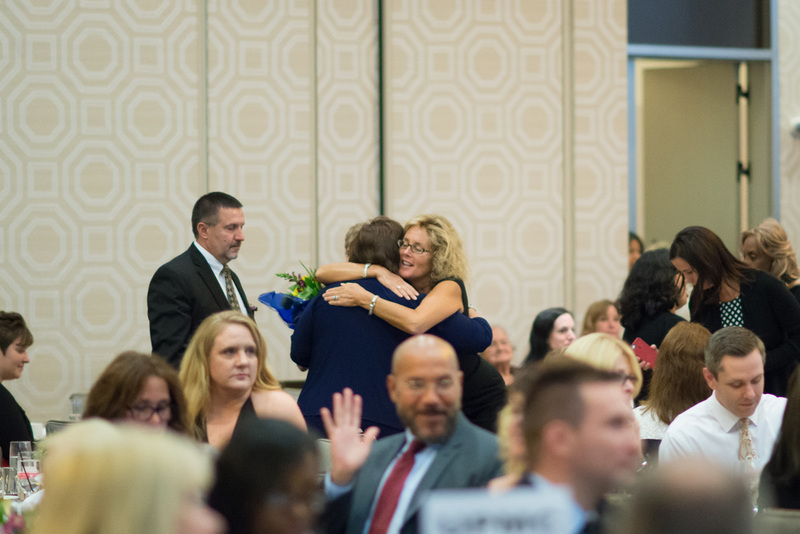 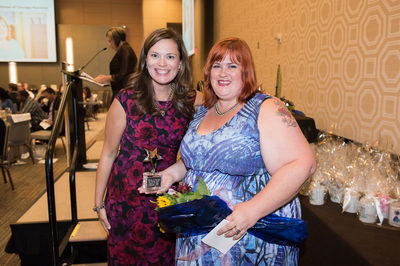 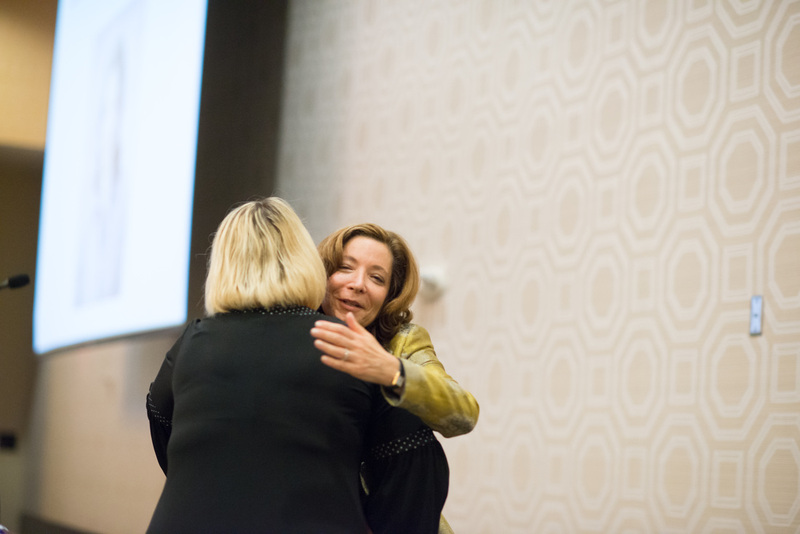 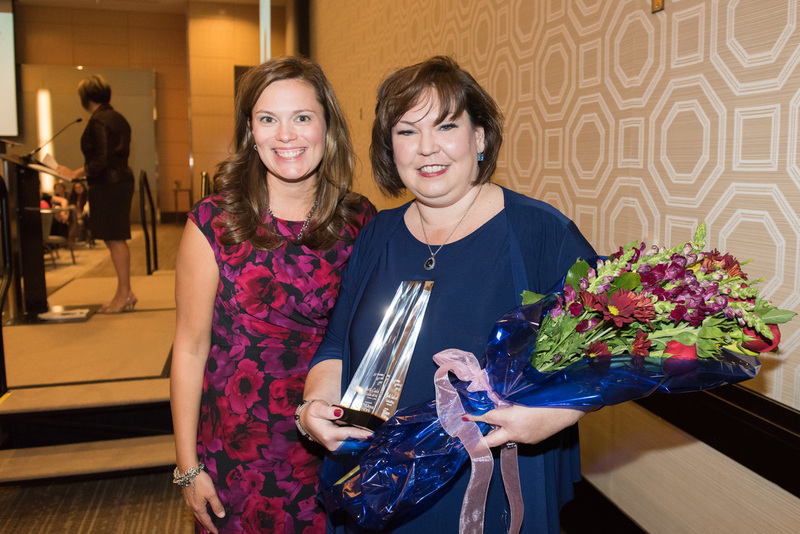 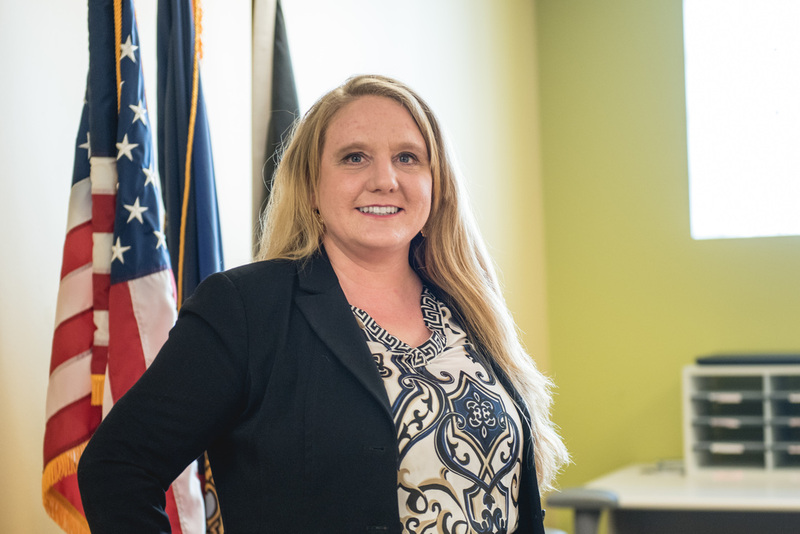 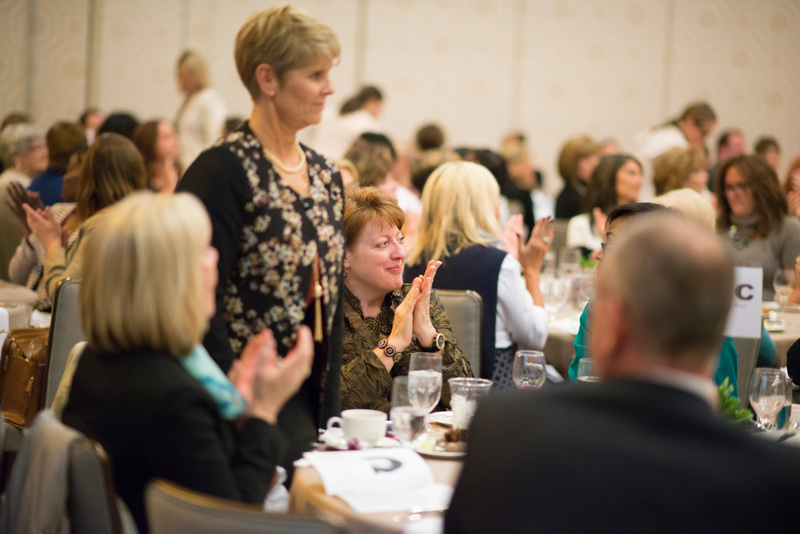 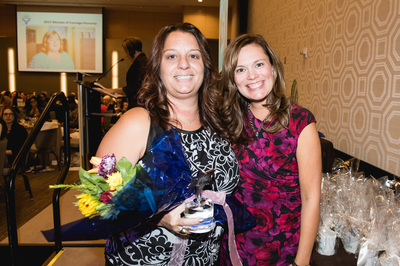 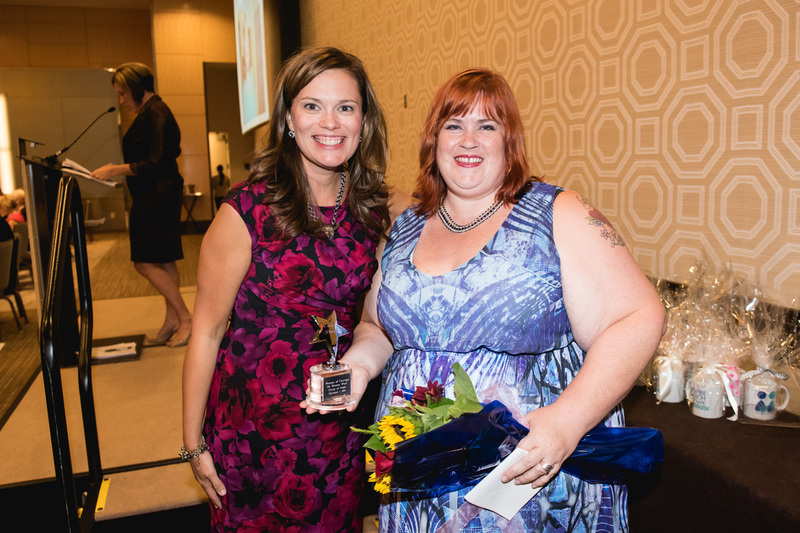 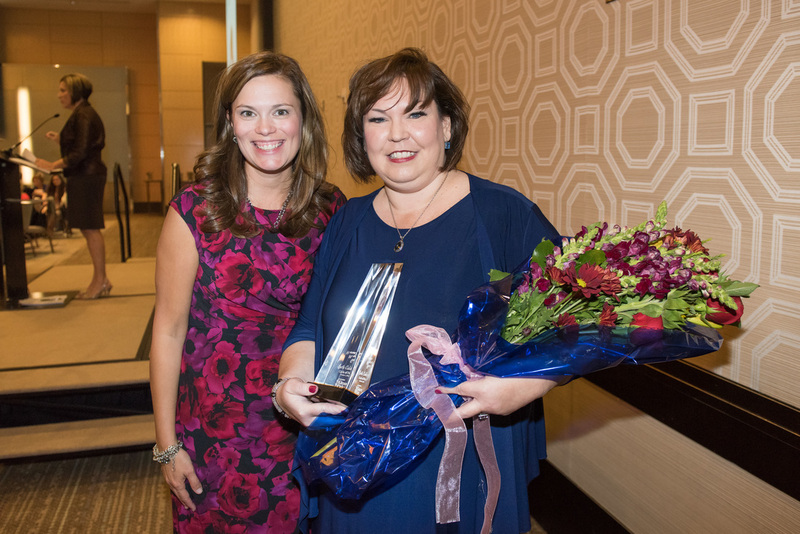 This year’s honorary Yvonne Zanos Woman of Courage was Beth Caldwell, who is the founder and executive director of Pittsburgh Professional Women and the lead instructor at Leadership Academy for Women. 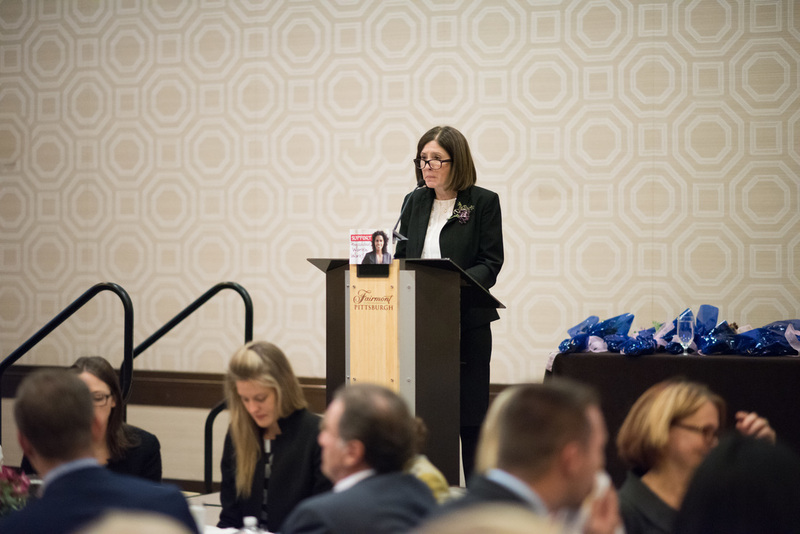 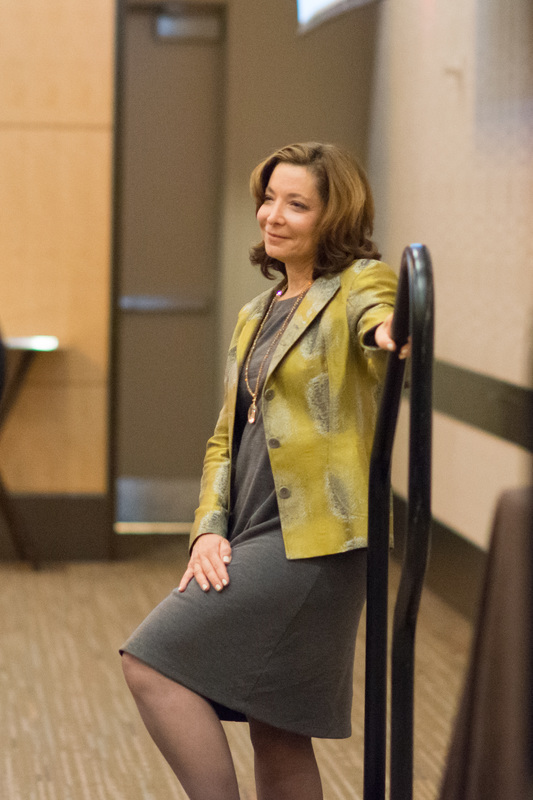 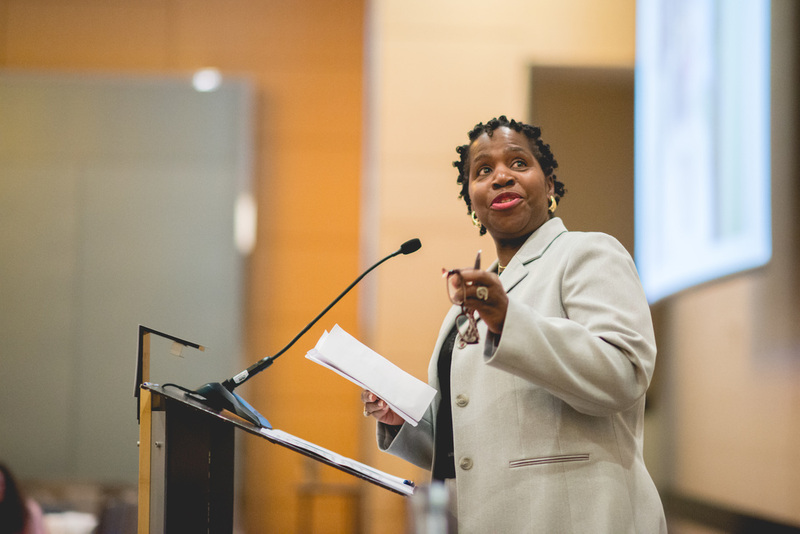 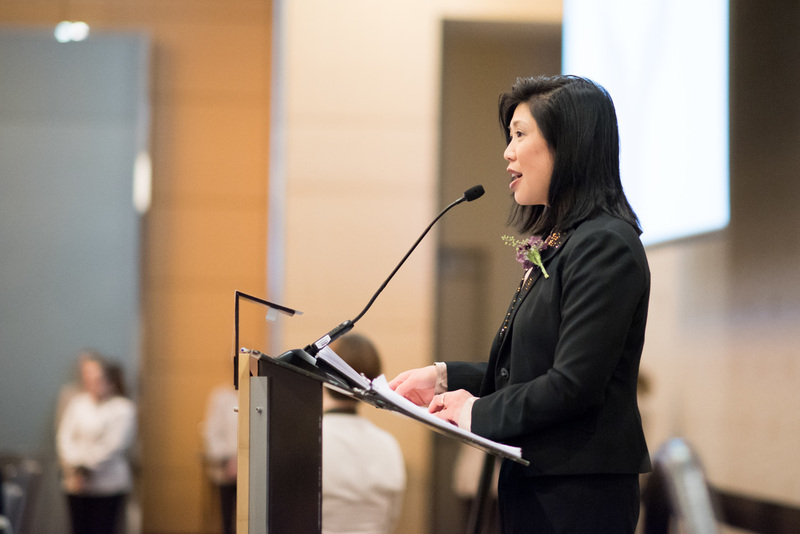 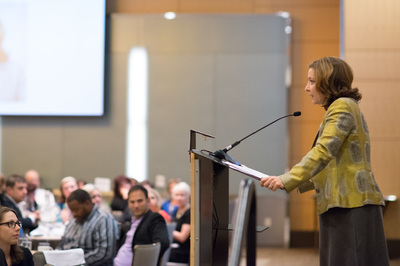 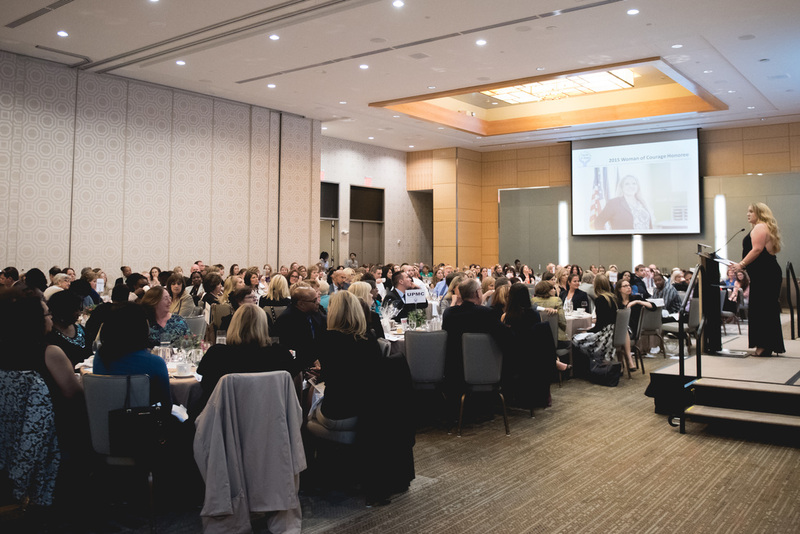 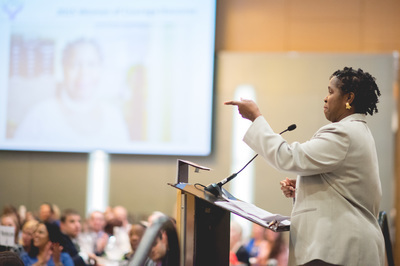 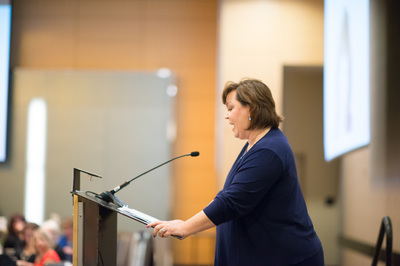 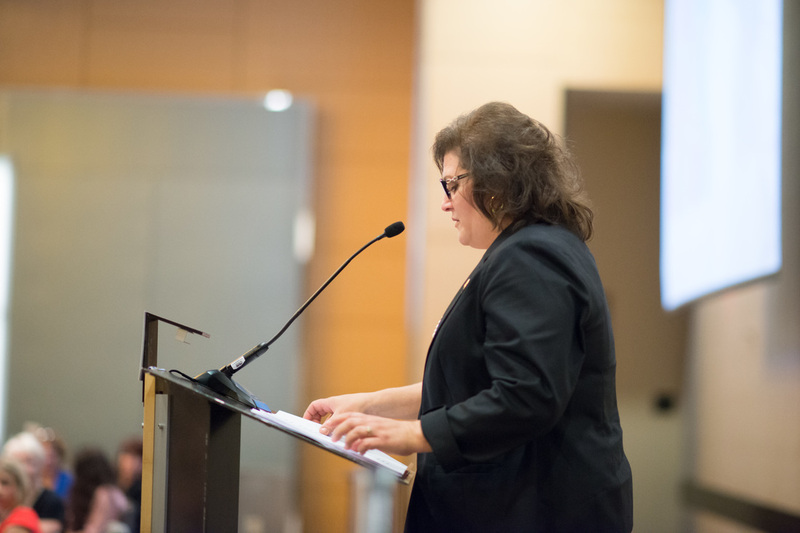 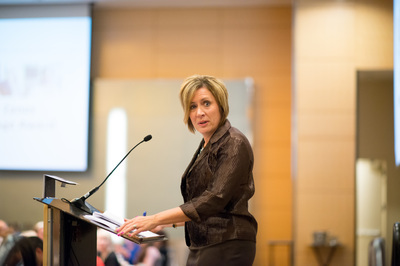 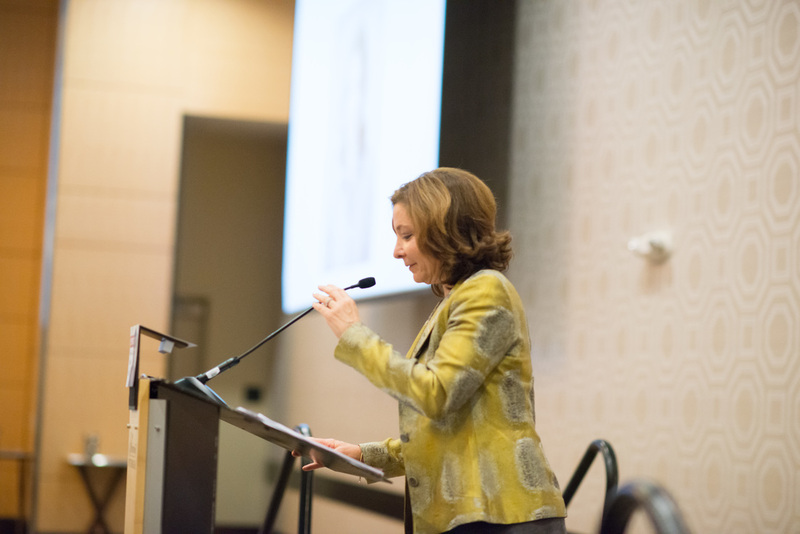 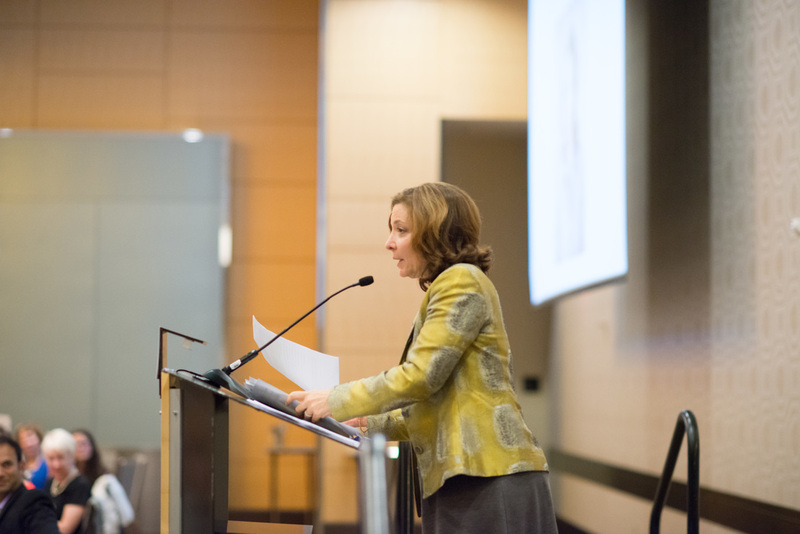 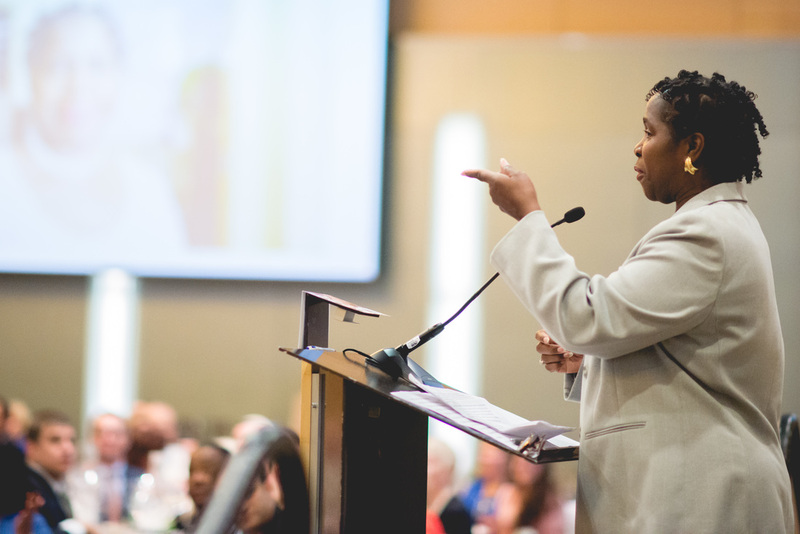 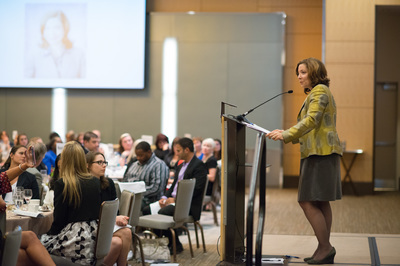 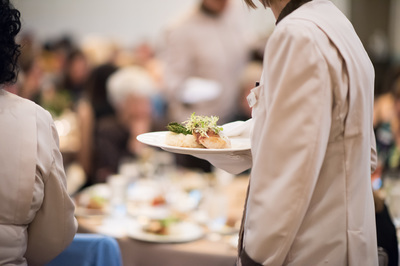 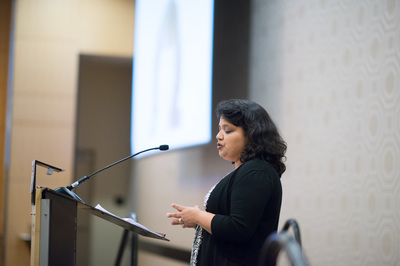 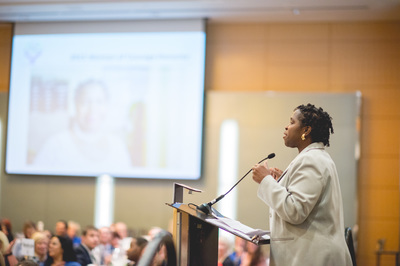 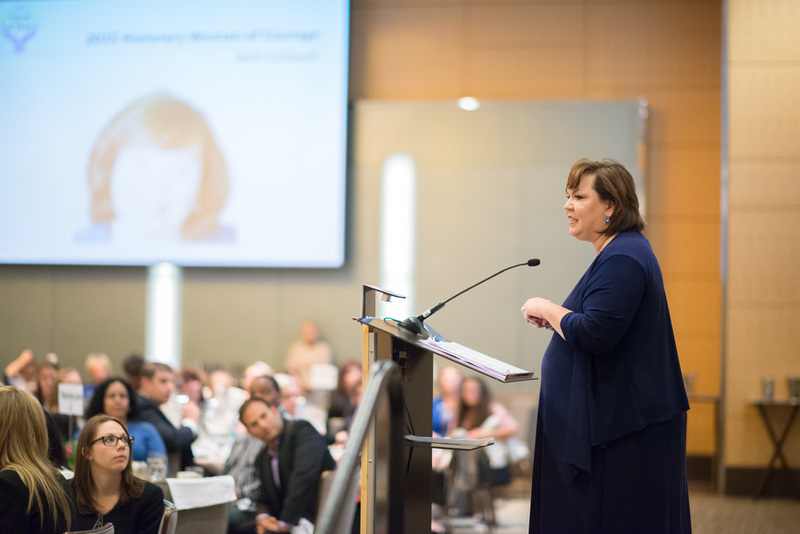 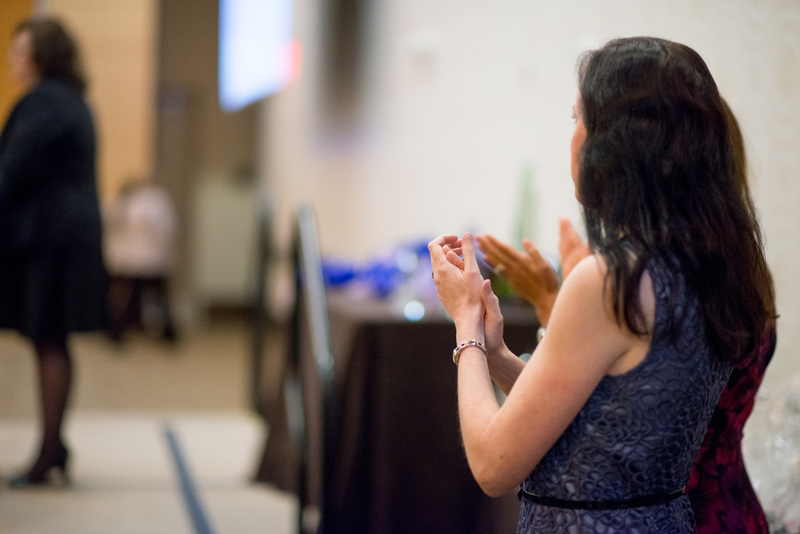 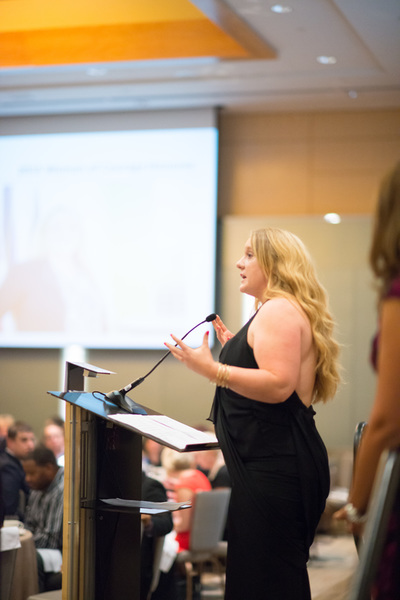 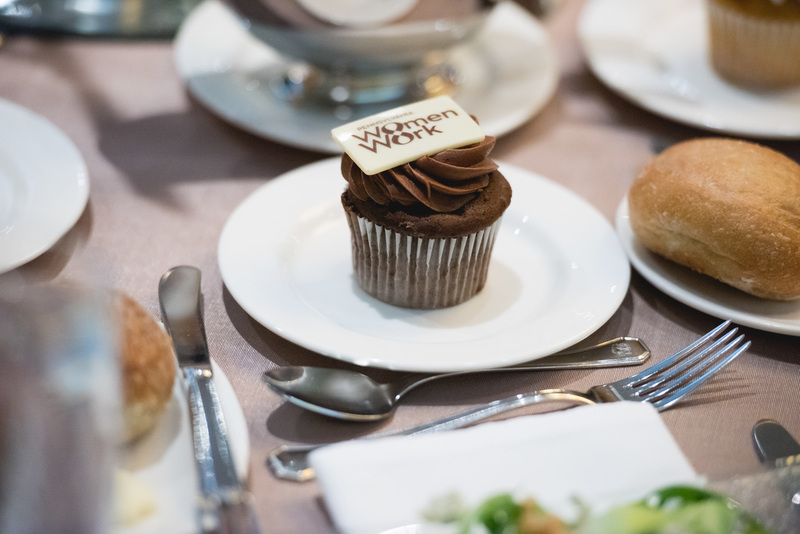 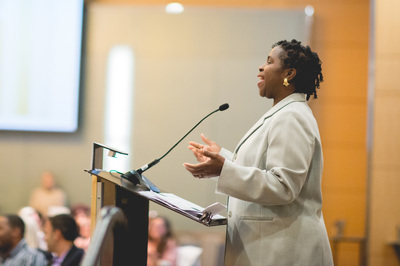 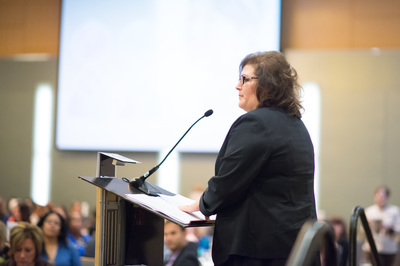 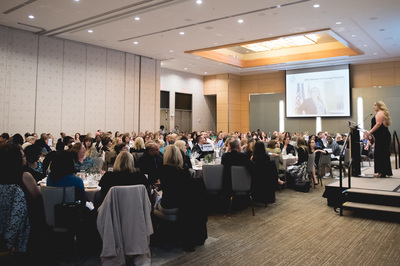 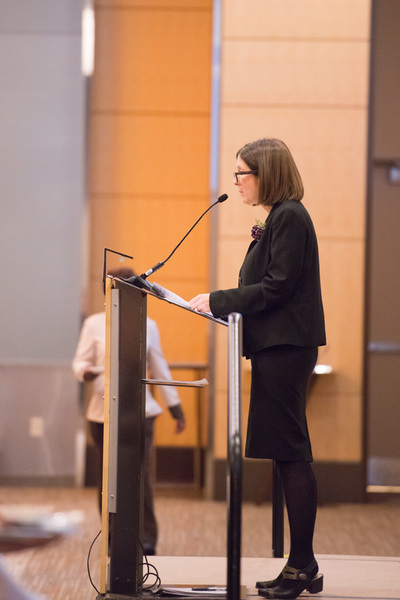 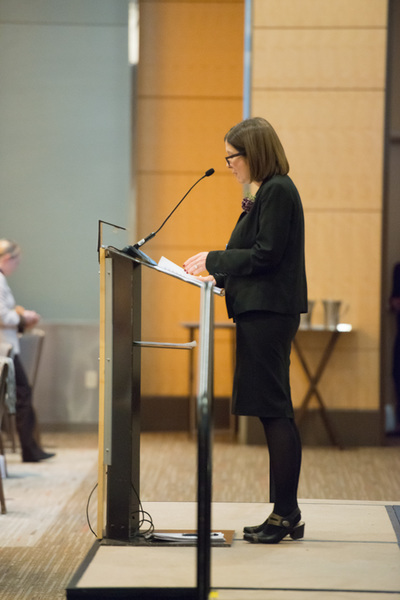 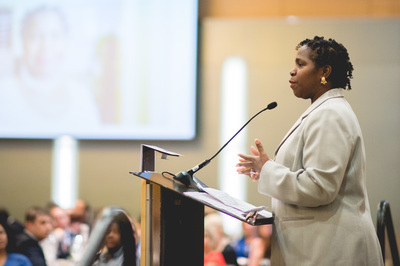 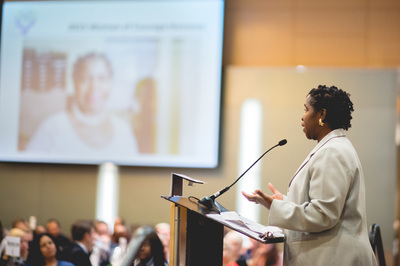 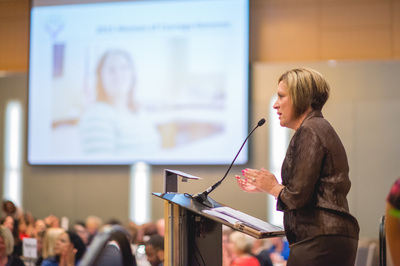 Her inspiring speech shared the story of her own journey from being a displaced homemaker with young children to becoming a beacon for other professional women. 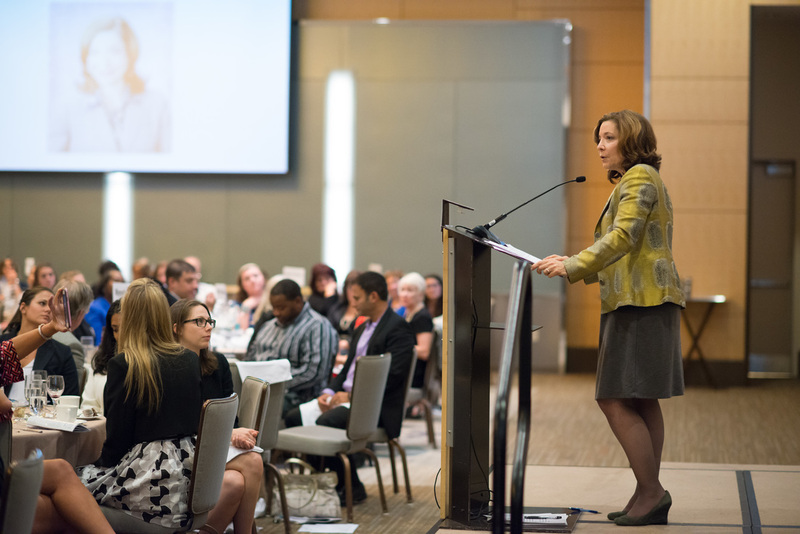 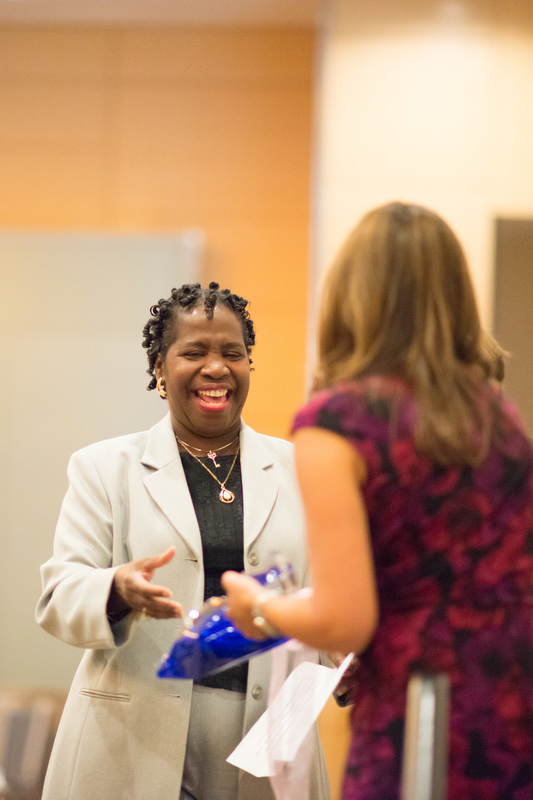 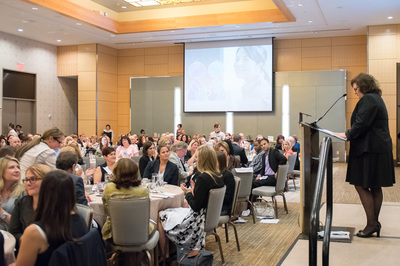 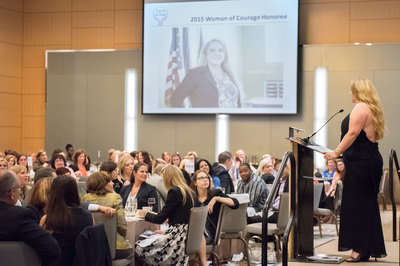 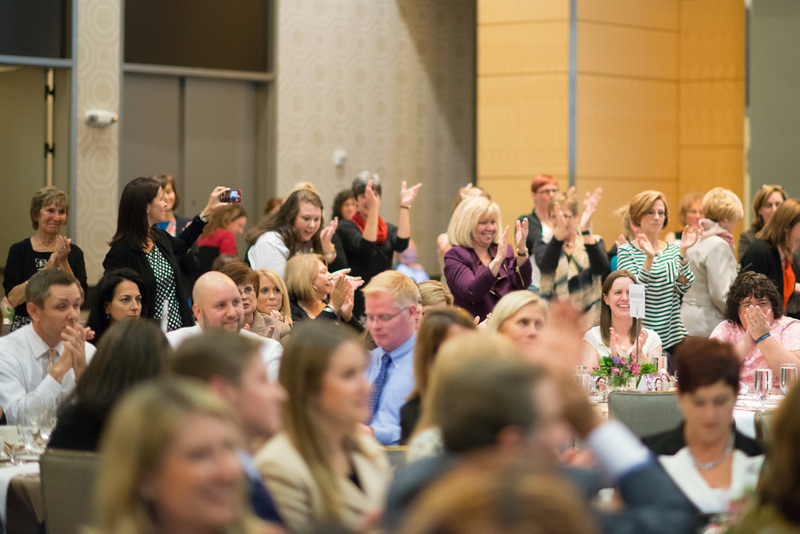 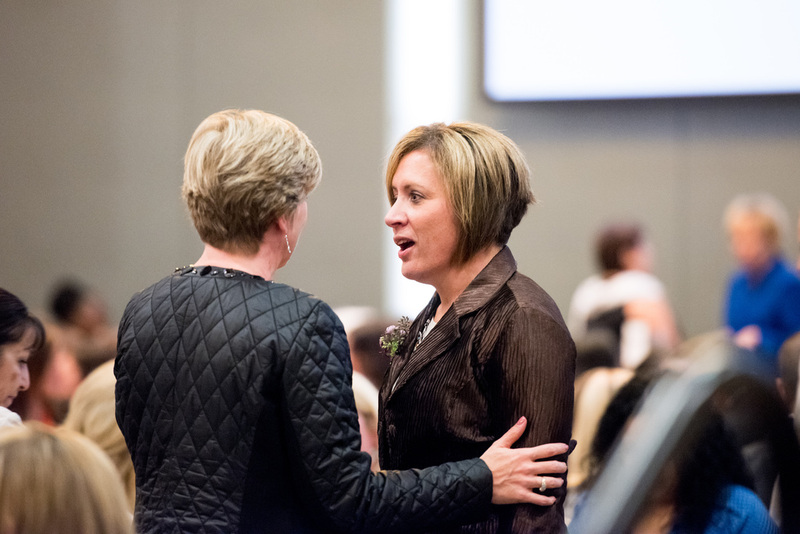 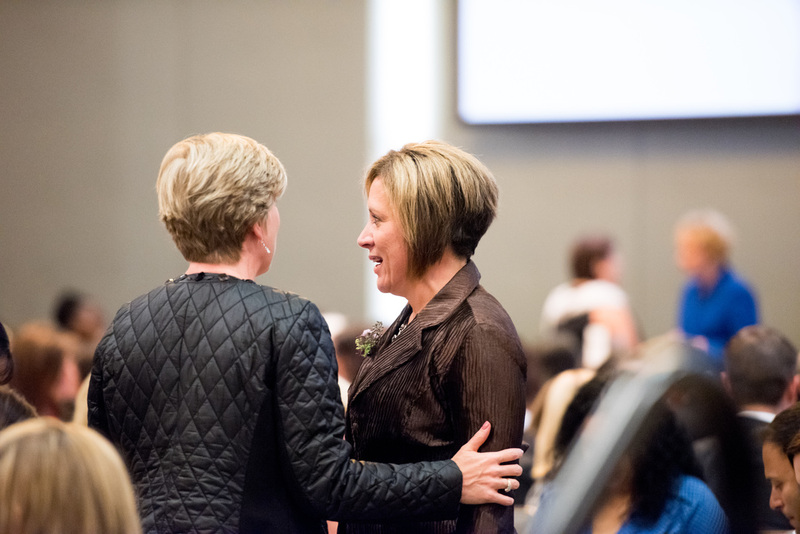 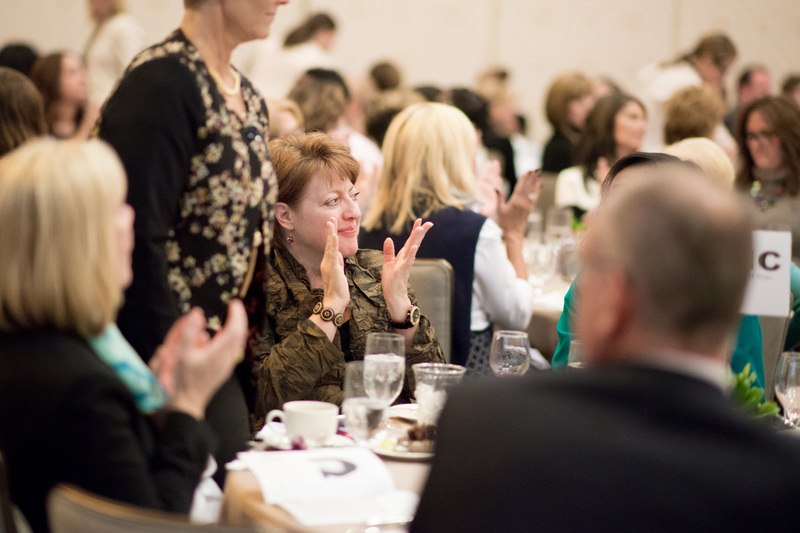 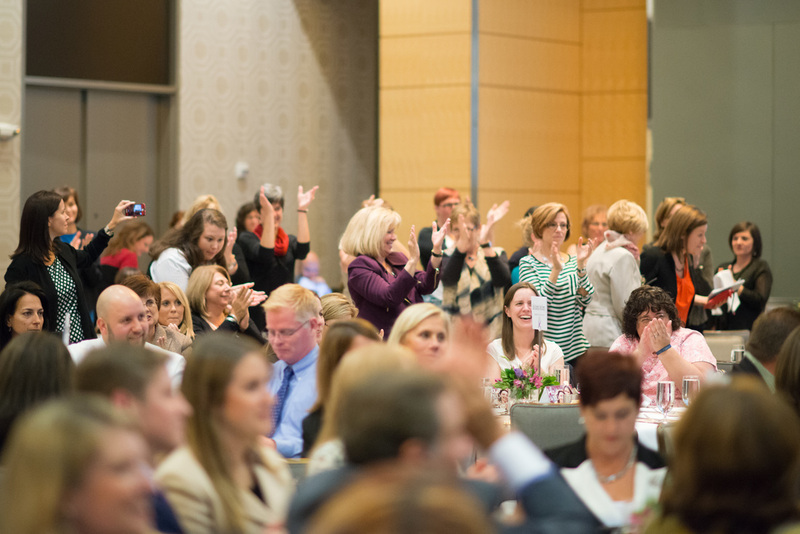 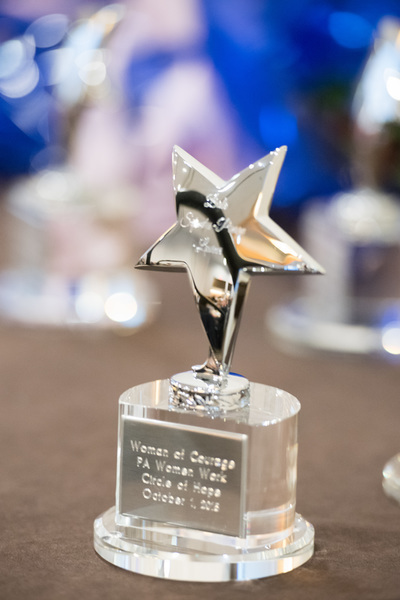 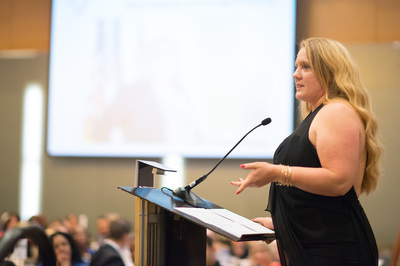 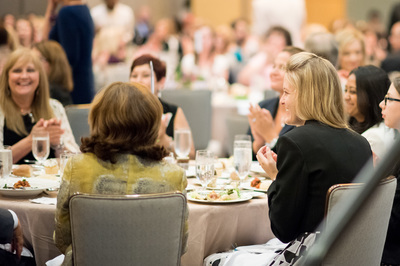 ​Click here to meet our 2015 Women of Courage.